A revised Northern Gateway scheme was approved by Chesterfield Borough Council in July 2016 to improve the town’s northern entrance and create 500 jobs. 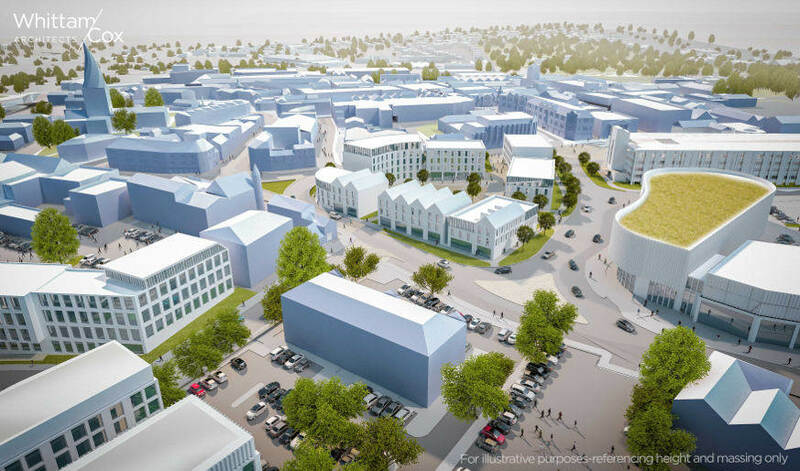 The plans include an enterprise centre for start-up and medium sized businesses on the site of Holywell Cross (Donut) car park as well as the provision of a new Saltergate multi-storey car park and environmental and street improvements to Elder Way and part of Knifesmithgate, to improve the area for pedestrians and encourage more people to use the area. Work on these elements will begin in 2018. The revised Northern Gateway project will be funded by a Sheffield City Region Infrastructure Fund grant of £5.83 million. The council has contributed £3.5 million to the scheme with the Co-op redevelopment being paid for by the private sector. Work to demolish Saltergate car park was completed in April 2018 and planning approval for the modern, 24 hour multi-storey car park was secured on the 14th May 2018. Follow up intrusive site investigation covering the footprint of the former building. BT decommissioning of public call box. Work started on site on the 6th September 2018 and the car park is due be completed in May 2019. 6 electric vehicle charging spaces with a further 10 spaces enabled for future connection as required. Standard parking bay sizes are 2.5m wide by 5.0m long, providing larger sizes than the former MSCP in order to improve the user experience and accommodate larger modern vehicles. 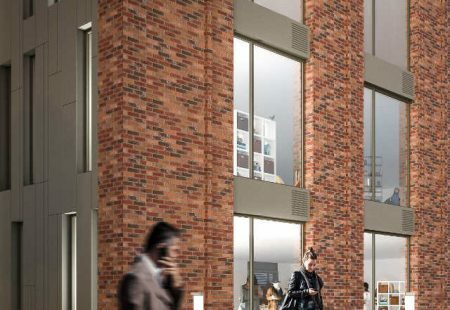 The building will be secured with automated roller shutters at vehicular entrances and exits, and access control via paper tickets at the pedestrian entrance, minimising the potential for antisocial behaviour in and around the building. The car park will be provided with 24 hour CCTV coverage, linking back to the Council’s CCTV Control Room for ongoing monitoring. Coverage will be provided by 11 fixed cameras and 10 Pan, Tilt and Zoom cameras covering all decks. 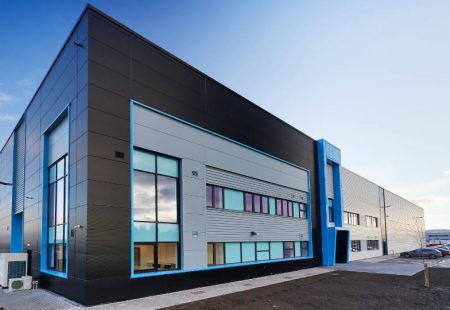 The plans for Northern Gateway include an enterprise centre for start-up and medium sized businesses on the site of Holywell Cross (Donut) car park. 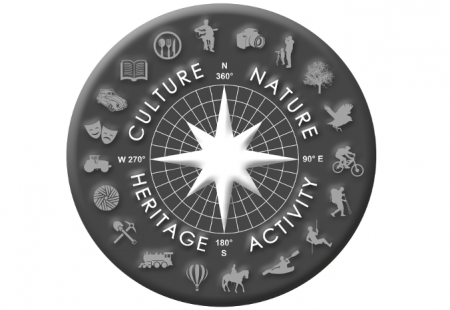 Planning was approved in February 2019. 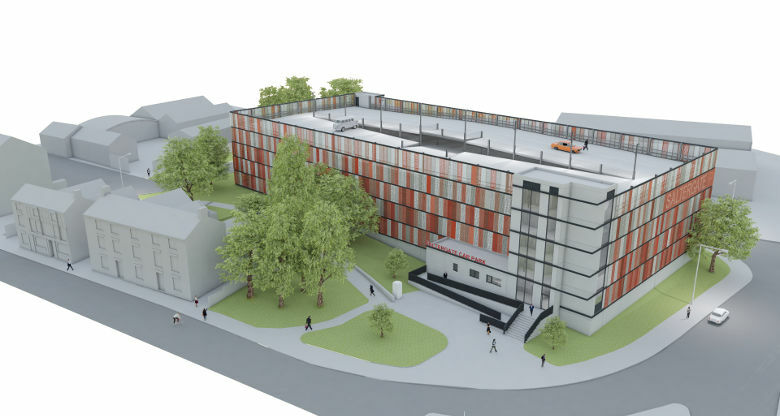 Development work is expected to start on site in June/July 2019 and to be completed Summer 2020. Fully landlord managed IT Systems. 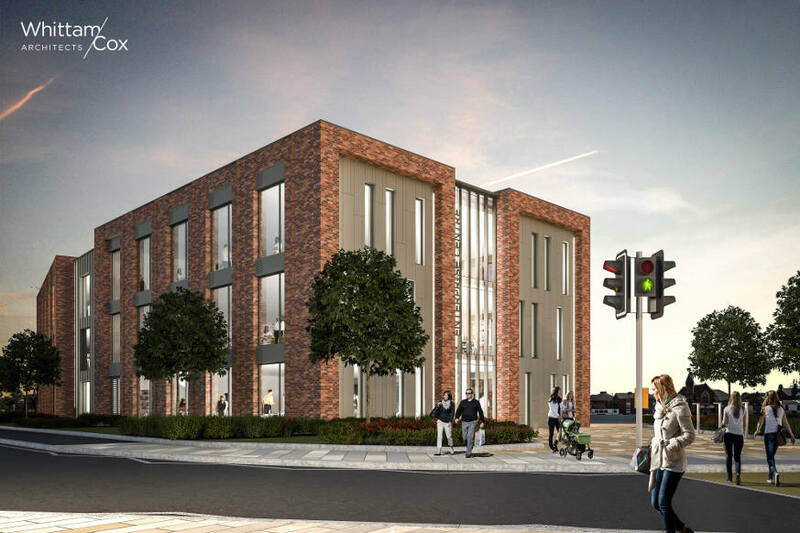 Local businesses looking for space at the new enterprise centre should contact Chesterfield Borough Council’s economic development team by calling (01246) 345255. Northern Gateway will deliver major improvements to Elder Way and part of Knifesmithgate. 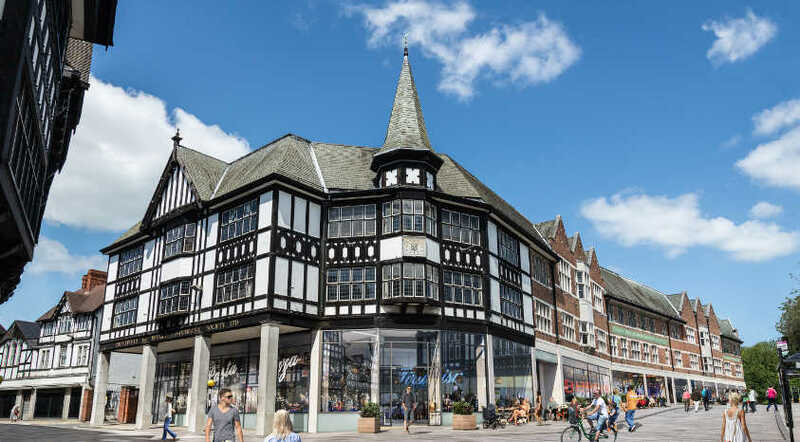 The new public realm will encourage more people to use the area and help to forge an important link between the new Premier Inn, the town centre and the new multi storey car park. 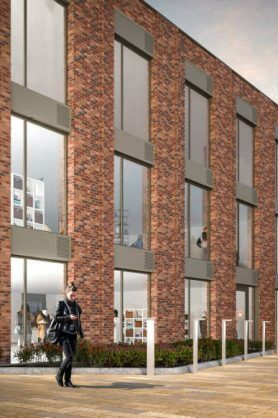 Pavement widening – to create spill out opportunities for outlets located in the ground floor units of the Elder Way development. The decluttering of the street scene of removing obstacles to pedestrian movement. 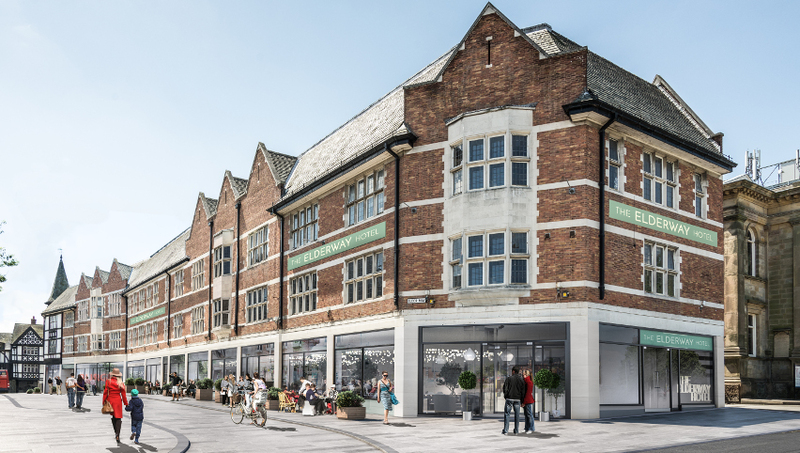 The £19.9 million Northern Gateway project also includes the £10.5 million redevelopment of the Co-op store by Central England Co-operative and their partners Jomast Developments.